Click here to download a pdf of my CV 2015-01-25 Moore CV. Check out my profile on ResearchGate. For additional reprints of publications email kmoore(at)ucdavis.edu. Tanner, K., K. Moore, and B. Pavlik. May 2014. 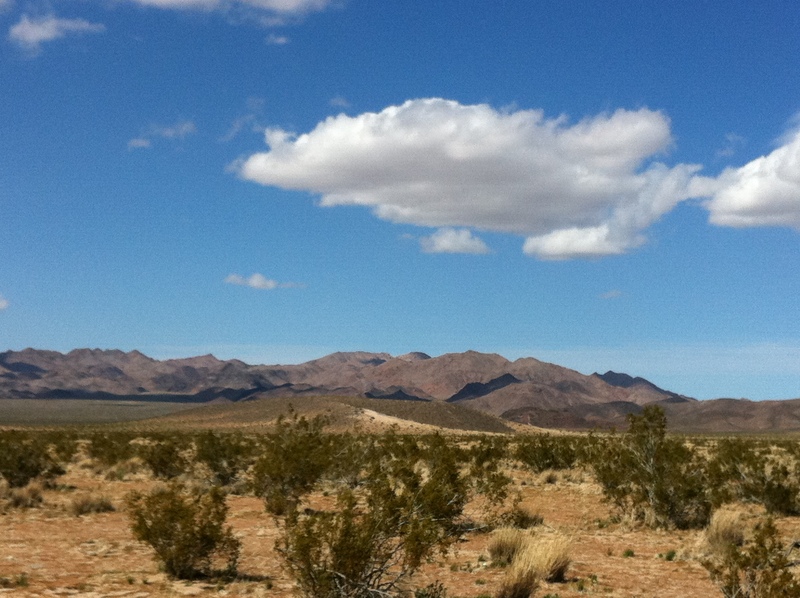 Measuring impacts of solar development on desert plants. Fremontia 42(2): 15-16. Moore, K.A. 2014. Editorial. Fremontia 42(1):2. Moore, K.A. and James M André. 2014. Rare plant diversity in the California deserts: priorities for research and conservation. Fremontia 42(1): 9-14. Schiffers, K., F.M. Schurr, J.M.J.Travis, A. Duputié, V.M. Eckhart, S. Lavergne, G. McInerny, K. A. Moore, P.B. Pearman, W. Thuiller, R.O. Wüest and R.D. Holt. 2014. Landscape structure and genetic architecture jointly impact rates of adaptation at species range borders. Ecography 37:001-012. Thuiller, W., T. Münkemüller, K. H. Schiffers, D. Georges, S. Dullinger, V. M. Eckhart, T. C. Edwards, D. Gravel, G. Kunstler, C. Merow, K. Moore, C. Piedallu, S. Vissault, N. E. Zimmermann, D. Zurell, and F. M. Schurr. 2014. Does probability of occurrence relate to demographic performance? Ecography (37): 001-002. Pavlik, B. M. and K. A. Moore. 2012. Reproductive Biology of the Rare Plants of Ash Meadows National Wildlife Refuge. Report prepared for the U.S. Fish and Wildlife Service. 146 pp plus appendices. Moore, K. A. and S.C. Elmendorf. 2011. Species interactions along stress gradients. In Serpentine: A model for Evolution and Ecology, S.P. Harrison and N. Rajakaruna, Eds. University of California Press, Berkeley. Moore, K. A., S. P. Harrison, and S.C. Elmendorf. 2011. Can spatial isolation help predict dispersal limited sites for native species restoration? Ecological Applications 21(6): 2119-2128. Harrison, S. P., H. Cornell, and K. A. Moore. 2010. What controls spatial niches? Testing theory with tarweeds. Ecology 91:2141-2150. Moore, K. A. 2009. Fluctuating patch boundaries of a charismatic annual forb result from niche, not dispersal, limitation. Ecology 90(2): 378-387. Pavlik, B.M., Moore-O’Leary, K.A. and A.E. Stanton. 2009. Quantifying herbivore impacts on rare plants at Ash Meadows. Proceedings of the California Native Plant Society Conservation Conference. pp 245-255. Elmendorf, S.C. and K. A. Moore. 2008. Community composition data outperforms environmental data in predicting species’ fecundity and abundance. Conservation Biology 22(6):1523-1532. Elmendorf, S. C., and K. A. Moore. 2007. Plant competition varies with community composition in an edaphically complex landscape. Ecology 88:2640-2650. Melbourne, B.A., H.V. Cornell, K. F. Davies, C. J. Dugaw, S.C. Elmendorf, A.L. Freestone, R. Hall, S.P. Harrison, A. Hastings, M. Holland, M.A. Holyoak, J. Lambrinos, K.A. Moore, C.M. Taylor and H. Yokomizo. 2007. Invasion in a heterogeneous world: resistance, coexistence or hostile takeover? Ecology Letters 10:77-94. Moore, K. A. and S. C. Elmendorf. 2006. Propagule vs. niche limitation: untangling the mechanisms behind plant species’ distributions. Ecology Letters 9:797-804. Hastings, A., K. Cuddington, K. F. Davies, C. J. Dugaw, S. Elmendorf, A. Freestone, S. Harrison, M. Holland, J. Lambrinos, U. Malvadkar, B. A. Melbourne, K. Moore, C. Taylor, and D. Thomson. 2005. The spatial spread of invasions: new developments in theory and evidence. Ecology Letters 8(1):91-101.